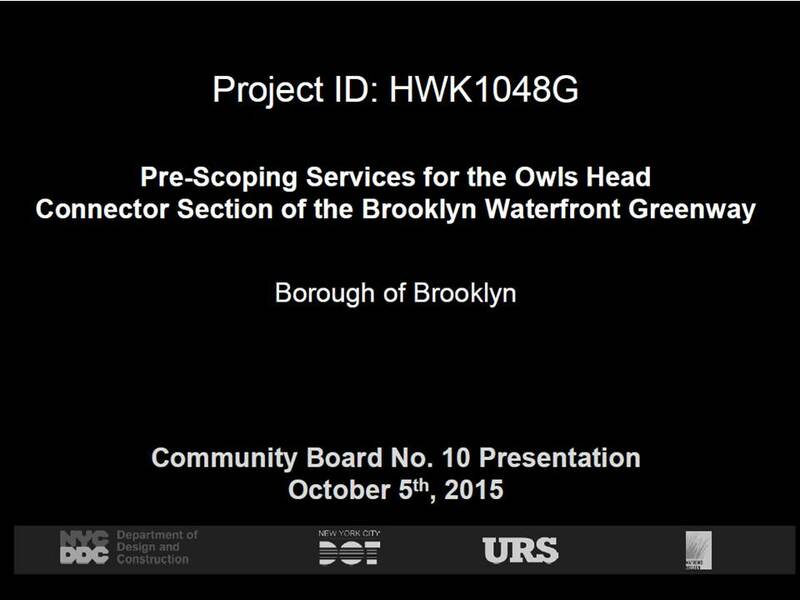 The Owl’s Head Park Connector is a critical section of the Brooklyn Waterfront Greenway situated at the boarder of the Sunset Park and Bay Ridge neighborhoods. The proposed route for this section is along 2nd Avenue from 58th Street to Wakeman Place, and along Wakeman Place from 2nd Avenue to Colonial Road. The goal of the design is to improve safety for pedestrians and cyclists, reduce congestion, increase accessibility, showcase the neighborhood character, and create a strong link to the waterfront and recreational opportunities.